Statement by Ava Helen and Linus Pauling, [re: federal defense spending] April 18, 1980. No Title, [re: Mayo Clinic study] Letter to the Editor ofCo-op News, April 18, 1985. Crystallography and the Nature of the Chemical Bond, April 18, 1991. Special Cases of Dirac’s Equations, Twenty-Fifth Lecture, Berkeley Lectures on Applications of Quantum Mechanics, University of California, Berkeley, April 18, 1929. The Nature of Molecular Diseases, The American College of Physicians, Thirty-Seventh Annual Session, Los Angeles, California, April 18, 1956. Nuclear War and the Need for Research for Peace, Detroit Labor Forum, April 18, 1959. Lecture tour sponsored by New Jersey SANE committees. Ending All Nuclear Tests – Our Best Chance for Peace, Englewood, New Jersey, April 18; Humanity and Peace Versus Fallout and the Bomb, Newark, New Jersey, April 19; Humanity and Peace Versus Fallout and the Bomb, Elizabeth, New Jersey, April 20, 1960. We Must Have Peace, WBAI radio, New York, April 18, 1960. Geometric Factors in Nuclear Structure: The Close-Packed Spheron Theory and the Shell Model of Nuclei, First Plaut Lecture, Chemistry Club, Princeton University, Princeton, New Jersey, April 18, 1967. No Title, [re: nuclear bomb tests, UN test ban treaty, civil defense and Vietnam] Distinguished Visitors Program – Human Aspects of Scientific Discoveries, Fourth Lecture, University of Massachusetts, Amherst, April 18, 1968. Paths to World Peace, Earth Fair ‘84, Lane Community College, Eugene, Oregon, April 18, 1984. Paths to World Peace, Earth Week Celebration, University of Oregon, Eugene, Oregon, April 18, 1984. John Phillips Memorial Award, Medal, American College of Physicians, Program, April 18, 1956. Architectural schematic for the third floor of the Crellin Laboratory. In November 1935, Edward Crellin, a retired Pasadena steel magnate, and his spouse Amy, informed Caltech chemistry chief A.A. Noyes of their wish to provide majority funding for a new building to be used by the Division of Chemistry and Chemical Engineering. Planning for this new facility promptly commenced and, by the next month, had advanced to the point where Noyes could tell the Division Council that construction would begin in spring 1937. In the meantime, fundraising and design work continued, a process that was aided by Crellin’s forgiveness of a $60,000 annuity owed to him by Caltech. By spring 1936, the final plans appeared to be coming together for the new space. It would be called the Crellin Laboratory, and the division’s existing facility would become the Gates Laboratory. One issue of particular concern was the square footage to be made available for biochemistry research supported by the Rockefeller Foundation. Another key need was finding a person suitable to organizing this work. 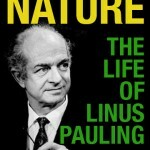 Linus Pauling was tasked with leading the search for the head researcher position but, as had happened the previous year, his inquiries yielded few leads. In his correspondence with Thorfin Hogness, a close colleague at the University of Chicago, Pauling learned that they too were looking for someone similar. This shared difficulty encountered by both institutions reflected a growing interest in biochemical research nation-wide that had been catalyzed, in no small measure, by the Rockefeller Foundation. Having received this guidance, Pauling suggested that Caltech hire a mid-career candidate who had already made significant contributions, and then add young men who could be groomed by this individual. The only person whom Pauling had met so far who approached this description was Hans T. Clark, a faculty member in the Department of Biochemistry at Columbia University. Pauling worried though, that Clark’s research was not “outstanding.” Another possibility was Samuel Gurin, a National Research Fellow at the University of Illinois and Pauling’s favorite among the “young men” that he had interviewed. In the end, neither Clark nor Gurin was hired. Instead, Edwin Buchman and Carl Niemann – the two candidates suggested by Moses Gomberg and Warren Weaver – were brought on as temporary junior appointments. Though young, both were brimming with promise: Niemann had already published ten papers by the age of twenty-five, and Buchman quickly secured funding for his research on vitamin B1. As it turned out, both also stayed at Caltech for the remainder of their careers. On June 6, 1936, with the Crellin facility still in its planning phase and a succession plan for division leadership still not in hand, A.A. Noyes passed away. For many in the division, sadness at Noyes’ passing was amplified by feelings of resentment toward Pauling, the likely new chair, who was widely seen as having pressed the issue of succession too aggressively during Noyes’ final days. For this and other reasons, many colleagues favored the appointment of physicist Richard Tolman instead, forcing him, just four days after Noyes’ death, to clarify that he would not accept the position if offered. I am very appreciative – and indeed quite touched – by this expression of confidence on the part of the members of the Executive Council. Nevertheless, both from the point of view of my own work and from that of the welfare of the Institute, I do not think that it would be wisest for me to accept. For his part, Tolman still favored the plan that he had devised the previous year with Noyes, George Ellery Hale and Robert Millikan, wherein it was recommended that Pauling take over as leader working in tandem with the Division Council. Tolman noted that as “an outstanding chemist, who is actively engaged in chemical research, who has a good knowledge of the chemical work being done in this and in other countries, and who is himself recognized as a man who is now making important contributions to chemistry,” Pauling was the perfect candidate. Tolman also hoped that the Division Council structure could be maintained and put forth that, as originally planned, he would continue to serve on the council since it was a position from which he could most effectively benefit the division. Pauling’s strong objections to the Tolman group’s proposal in general, and the Division Council structure in particular continued to hold. Feeling that the window for advancing on acceptable terms at Caltech was nearing its close, Pauling also began to seriously entertain the idea of working elsewhere. In 1929, Harvard University had recruited Pauling for a position as Professor of Physical Chemistry, an offer that Pauling ultimately refused. Seven years later, the division chairmanship seemingly out of reach, Pauling wrote to the new President of Harvard, James B. Conant, asking if the 1929 offer was still a consideration. Conant replied that the position had since been filled by one of Pauling’s former students, E. Bright Wilson, and that Harvard was not presently in a position to create a new job for Pauling. This news came as a disappointment, but other opportunities were soon to arrive.